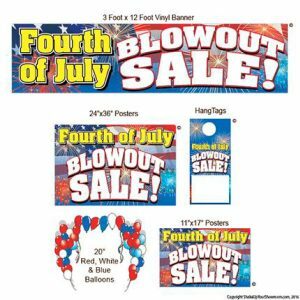 Order your Fourth of July Themed Banners & Hang Tags Now! 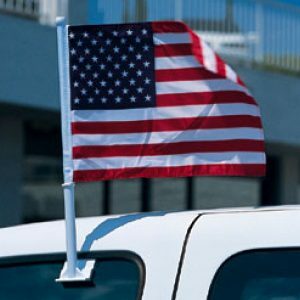 Add Some Red, White, & Blue Flair to your Dealership Showroom this Fourth of July! Our themed banners and hang tags are perfect for making your car dealer showroom look festive and ready for the Fourth of July season. Our banners are large, bold, and can be displayed in front of your business or hung up around your store. Our hang tags attach easily to any car’s dashboard mirror and will give your showroom room vehicles a little something extra this summer. 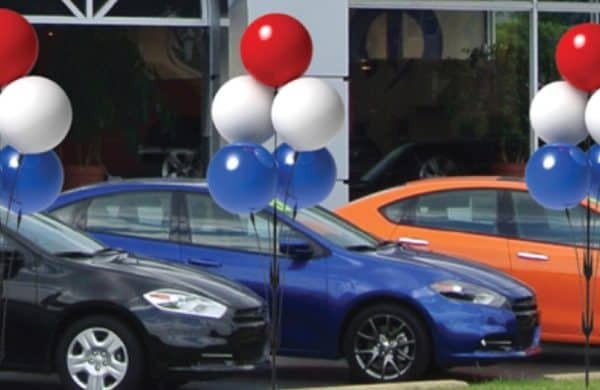 Independence Day is a great opportunity to hold promotions and sales at your dealership and putting in the extra time to decorate will show your customer’s how much you appreciate their business. What better way to advertise for Fourth of July than with vibrant shades of red, white, and blue? Your customers will be lining up outside the door! Show how proud you are to live in America and start showing off your red, white, and blue spirit today. It’s not too late to get your decorations up.